Normally, U.S. airlines compete to sell tickets and fill seats during the peak summer travel season. But operators of the grounded Boeing 737 MAX are facing a different problem: scarce planes and booming demand. The grounding of Boeing Co’s fuel-efficient, single-aisle workhorse after two fatal crashes is biting into U.S. airlines’ Northern Hemisphere spring and summer schedules, threatening to disarm them in their seasonal war for profits. “The revenue is right in front of them. They can see it, but they can’t meet it,” said Mike Trevino, spokesman for Southwest Airlines Pilots Association and an aviation industry veteran. Above Copyright Photo: Southwest Airlines Boeing 737-8 MAX 8 N8718Q (msn 42546) FLL (Andy Cripps). Image: 944333. Southwest Airlines Co, the world’s largest MAX operator, and American Airlines Group Inc with 34 and 24 MAX jetliners respectively, have removed the aircraft from their flying schedules into August. United Airlines said on Monday it would remove its 14 MAX jets through early July. So far airlines have said it is too soon to estimate the impact of the MAX grounding beyond the first quarter, but the extended cancellations signal that they do not expect a quick return of Boeing’s fast-selling jetliner. The 737 MAX was grounded worldwide in March following a fatal Ethiopian Airlines crash just five months after a Lion Air crash in Indonesia. All on board both planes were killed. Above Copyright Photo: American Airlines Boeing 737-8 MAX 8 N303RE (msn 44447) FLL (Andy Cripps). Image: 945355. A decline in seat capacity could mean higher last-minute summer fares, particularly for business class travelers, aviation consultants and analysts said. “We’ve used spare aircraft and other creative solutions to help our customers, who had been scheduled to travel on one of our 14 MAX aircraft, get where they are going. But, it’s harder to make those changes at the peak of the busy summer travel season,” United said on Monday. Overall the MAX represents just 5 percent of Southwest’s total fleet and even less for American and United, but the strain on fleets increases as additional MAX deliveries remain frozen. Southwest has 41 MAX jets pending delivery for 2019, while American has 16 and United 14. They are each working with Boeing and regulators to ensure the aircraft’s safety before flying it with customers and employees. Meanwhile, operators have added a flight or two to other aircrafts’ daily schedules and deferred some non-essential maintenance work. Some airlines are also weighing extending aircraft leases and bringing back idled planes, but with unclear MAX timing, no option is clear-cut or cheap, consultants said. This entry was posted in American Airlines, Southwest Airlines, United Airlines and tagged American Airlines, Boeing 737-8 MAX 8, msn 42546, msn 44447), N303RE, N8718Q, Southwest Airlines, United Airlines on April 16, 2019 by Bruce Drum. As we prepare for summer, our focus is around planning for the busiest travel period of the year. Families everywhere are counting on American Airlines for their summer vacations, family reunions, trips to visit friends and adventures overseas. Our commitment to each other and to our customers is to operate the safest and most reliable operation in our history. To further that mission, we have made the decision to extend our cancellations for the Boeing 737 MAX aircraft through August 19, 2019. Based upon our ongoing work with the Federal Aviation Administration (FAA) and Boeing, we are highly confident that the MAX will be recertified prior to this time. But by extending our cancellations through the summer, we can plan more reliably for the peak travel season and provide confidence to our customers and team members when it comes to their travel plans. Once the MAX is recertified, we anticipate bringing our MAX aircraft back on line as spares to supplement our operation as needed during the summer. The planning team is working on this action now and in total, approximately 115 flights per day will be canceled through August 19. These 115 flights represent approximately 1.5 percent of American’s total flying each day this summer. We remain confident that the impending software updates, along with the new training elements Boeing is developing for the MAX, will lead to recertification of the aircraft soon. We have been in continuous contact with the FAA, Department of Transportation (DOT), National Transportation Safety Board (NTSB), other regulatory authorities and are pleased with the progress so far. Our Reservations and Sales teams will continue to work closely with customers to manage their travel plans, and we appreciate their outstanding efforts to care for our customers. Your professionalism and care for customers is second to none, and we thank you for all you do every day for our customers and for each other. 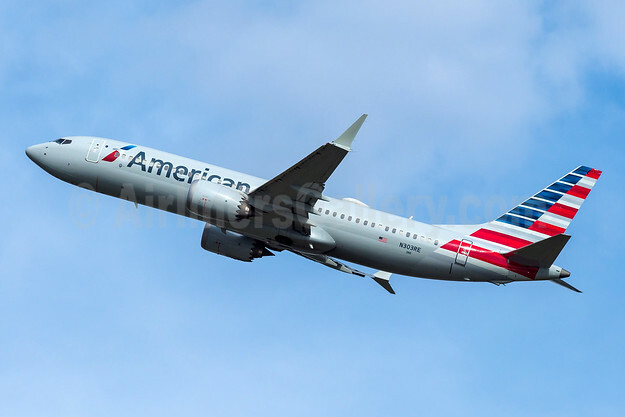 This entry was posted in American Airlines and tagged American Airlines, Boeing 737-8 MAX 8 on April 14, 2019 by Bruce Drum. I want to take a moment to provide an update on our current plans surrounding the Boeing 737 MAX aircraft. As you might know, Southwest removed the MAX from service on March 13, 2019. Our Teams are working to further increase the Reliability of our schedule and reduce the amount of last-minute flight changes—especially during the upcoming summer travel season. With that in mind, we’ve now modified our schedule through August 5, 2019 to add further stability for Customers booking their summer travel. While the timing for the return to service of the MAX remains unclear, what is very clear is our commitment to operate a reliable schedule and provide the famous Customer Service you expect from us. Our revised summer schedule allows us to accomplish those objectives. The limited number of Customers, who have already booked their travel and will be affected by this amended schedule, are being proactively notified so that we can reaccommodate their flight plans well in advance of their travel date. While the vast majority of our Customers’ itineraries have remained unaffected, flight schedule changes have inconvenienced some of our valued Customers, and, for that, I offer my sincerest apologies. Safety has always been our most sacred responsibility to both our Employees and our Customers, and we will continue to remain in full compliance with all FAA directives and any additional requirements necessary to return this aircraft to service. Again, our goal is to deliver the excellent Customer Service that you’ve come to know and expect from us and we remain steadfastly committed to that. We will continue to keep you informed of any new developments, and we invite you to visit Southwest.com for the latest updates. Thanks for your patience and understanding during this time, and please know that the entire Southwest Team looks forward to serving you soon. 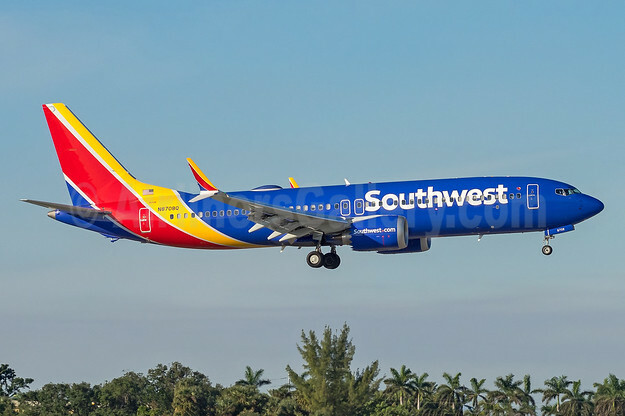 Top Copyright Photo (all others by the airline): Southwest Airlines Boeing 737-8 MAX 8 N8708Q (msn 42566) FLL (Andy Cripps). Image: 940318. 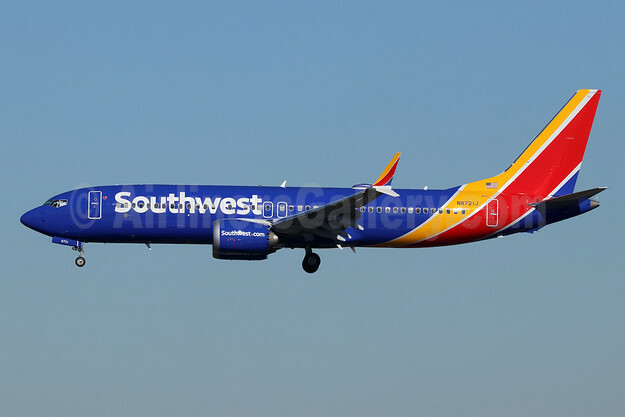 This entry was posted in Southwest Airlines and tagged Boeing 737-8 MAX 8, msn 42566, N8708Q, Southwest Airlines on April 13, 2019 by Bruce Drum. Air Canada said today that due to Transport Canada’s continued closure of Canadian airspace to the Boeing 737 MAX aircraft, it has further adjusted its schedule through to May 31. The carrier anticipates it will cover 98 percent of previously planned flying for the month through a series of mitigation measures, schedule changes and temporary route suspensions. “Air Canada assures its customers that we are doing everything possible to mitigate the effects of the 737 MAX grounding, and we appreciate our customers’ patience and flexibility as we continue to work on transporting them safely to their destinations. By adjusting our schedule for the month of May, we are providing certainty for our customers so they can continue to book and travel with confidence on Air Canada,” said Lucie Guillemette, Executive Vice President and Chief Commercial Officer at Air Canada. 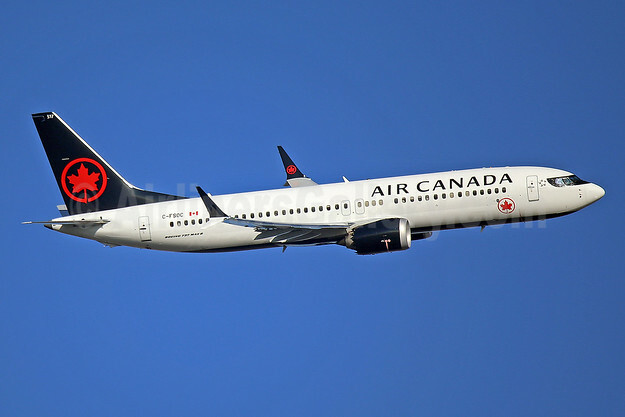 In compliance with the safety notice issued by Transport Canada on March 13, 2019, Air Canada grounded its fleet of 24 Boeing 737 MAX aircraft. Boeing has advised that deliveries of its 737 MAX are currently suspended. Air Canada was expecting six new aircraft in March and April. Air Canada is now updating its June schedule to optimize its fleet and re-accommodate customers. Because the timeline for the return to service of the 737 MAX is unknown, for planning purposes and to provide customers certainty for booking and travel, Air Canada has removed 737 MAX flying from its schedule until at least July 1, 2019. Final decisions on returning the 737 MAX to service will be based on Air Canada’s safety assessment following the lifting of government safety notices and approval by international regulatory authorities. To mitigate the impact, Air Canada has been substituting different aircraft on 737 MAX routes. This includes flying routes with similar-sized or larger aircraft. To help provide this replacement flying, the carrier has extended leases for aircraft which were scheduled to exit the fleet. Air Canada is also accelerating the in-take of recently acquired Airbus A321 aircraft from WOW Air into its fleet. Above Copyright Photo: Air Canada Airbus A321-211 C-GJVX (msn 1726) YVR (Rob Rindt). Image: 941073. The carrier has worked with other carriers to provide immediate extra capacity and provide alternative options to passengers. For example, its Montreal–Frankfurt flight for the month of May will be operated by Star Alliance partner Lufthansa. The airline has implemented a number of route changes to date, either changing operating times or substituting larger aircraft with fewer frequencies on routes operated more frequently by smaller aircraft. For example, beginning in May two daily flights between Toronto and Calgary have been consolidated onto one larger Airbus A330, leaving nine daily flights. In some cases, seasonal route launches have been delayed. This includes: Toronto–Portland, which will now start July 1 instead of May 24; Vancouver–Boston, which will now start June 16 instead of June 1; and Calgary–Halifax, which will now start July 1 instead of May 18. The seasonal start of the carrier’s Toronto–Shannon route and new Montreal–Bordeaux service will both be delayed until early July. In addition, selected frequencies on domestic routes such as Toronto–Edmonton, will be served by Air Canada Rouge aircraft. In a small number of cases, Air Canada has temporarily suspended service on certain 737 MAX routes where alternative aircraft are not presently available. This includes flights from Halifax and St. John’s to London Heathrow, for which it is re-accommodating customers over its Toronto and Montreal hubs. These routes are now suspended to May 31, but Air Canada remains committed to these routes. Top Copyright Photo: Air Canada Boeing 737-8 MAX 8 C-FSOC (msn 61224) LHR (Keith Burton). Image: 945960. This entry was posted in Air Canada and tagged Air Canada, Airbus A321-211, Boeing 737-8 MAX 8, C-FSOC, C-GJVX, msn 1726, msn 61224 on April 2, 2019 by Bruce Drum. Top Copyright Photo: Southwest Airlines Boeing 737-8 MAX 8 N8721J (msn 42548) LAX (Michael B. Ing). Image: 945963. 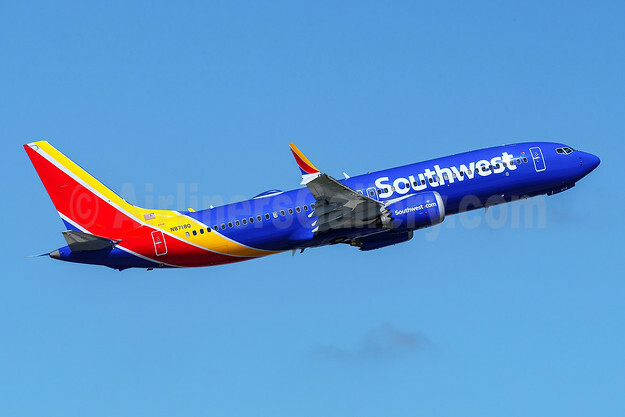 This entry was posted in Southwest Airlines and tagged Boeing 737-8 MAX 8, msn 42548, N8721J, Southwest Airlines on March 24, 2019 by Bruce Drum. 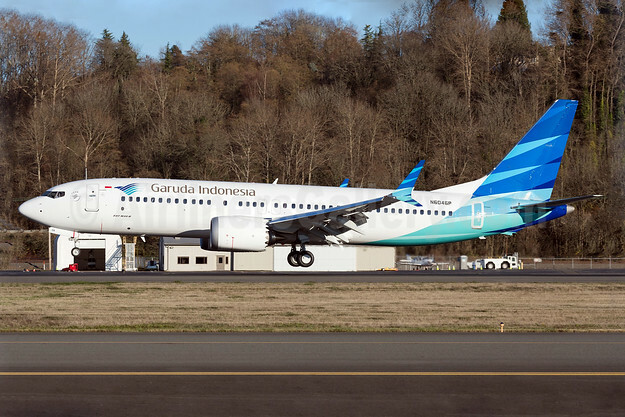 Garuda Indonesia Airways has publicly stated it plans to cancel its remaining order of 49 Boeing 737 MAX 8s after losing confidence in the new type after two tragic crashes. The airline ordered 50 of the new type in 2014. The flag carrier has already taken delivery of one (PK-GDA) but it is grounded. Boeing is planning to visit the airline on March 28 to discuss the cancellation request. Top Copyright Photo: Garuda Indonesia Airways Boeing 737-8 MAX 8 N6046P (PK-GDA) (msn 62093) BFI (Brandon Farris). Image: 940065. This entry was posted in Garuda Indonesia and tagged Boeing 737-8 MAX 8, Garuda Indonesia, garuda indonesia airways, msn 62093, N6046P, PK-GDA on March 23, 2019 by Bruce Drum. 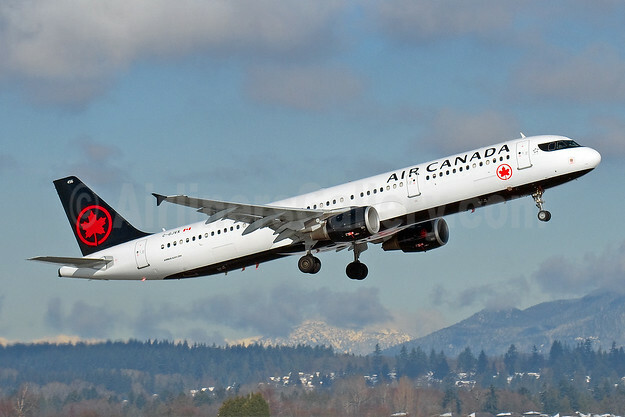 Air Canada said today that it has adjusted its schedule through to April 30 to cover 98 percent of its planned flying following Transport Canada’s closure of Canadian airspace to Boeing 737 MAX aircraft operations. In compliance with the safety notice, Air Canada has grounded its 24 737 MAX aircraft and Boeing has advised that deliveries of its 737 MAX are currently suspended. Air Canada was expecting six new aircraft in March and April. “The Boeing 737 MAX accounted for six percent of Air Canada’s total flying, but there is a domino effect from removing the 737s from our fleet that impacts the schedule and ultimately will impact some customers. We have been working very hard to minimize that impact,” said Lucie Guillemette, Executive Vice President and Chief Commercial Officer at Air Canada. The airline has implemented a number of route changes to date, either changing operating times or substituting larger aircraft with fewer frequencies on routes operated more frequently by smaller aircraft. In some cases, it has deployed Air Canada Rouge aircraft to serve mainline routes. The airline is also currently finalizing a new routing for the return leg of its Toronto–Delhi service, which continues to be impacted by the closure of Pakistani airspace. This flight will remain nonstop between Toronto and Delhi but now stop in Vancouver rather than Copenhagen on the return leg. Air Canada has put in place a flexible rebooking policy with full fee waiver and a refund option for affected customers. Customers originally scheduled to travel on a 737 MAX can call Air Canada at 1-833-354-5963 for information within 72 hours of their planned flight. Customers who have booked flights through a Travel Agent should contact them for immediate assistance. Air Canada has a fleet of 24 Boeing 737 MAX-8 aircraft, which have been in operation since 2017. Air Canada has a total fleet of 400 aircraft (including 24 737 MAX), comprising Air Canada mainline, Air Canada Rouge and Air Canada Express aircraft. 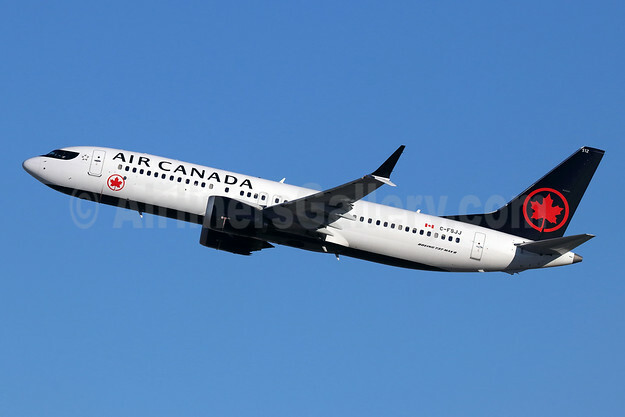 Top Copyright Photo (all others by the airline): Air Canada Boeing 737-8 MAX 8 C-FSJJ (msn 61217) LAX (Michael B. Ing). Image: 945958. This entry was posted in Air Canada and tagged Air Canada, Boeing 737-8 MAX 8, C-FSJJ, msn 61217 on March 19, 2019 by Bruce Drum.